Halloween isn’t just for the big kids, even the little ones can get involved in the fun. 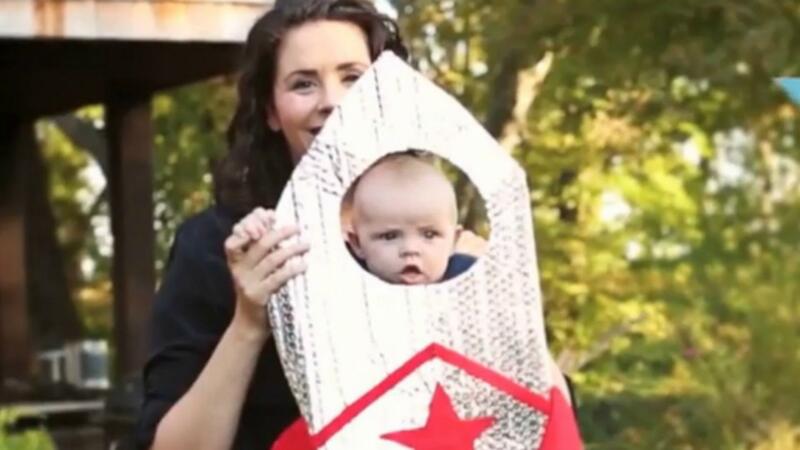 They might not understand what’s going on, but they’ll definitely look the part with this DIY rocket Halloween costume. Even the tiny tots can join in the fun this Halloween. Just because they might not be able to go trick or treating on their own doesn’t mean they shouldn’t wear a costume. Here is a great do-it-yourself costume perfect for the bubs who kick and squirm and hate wearing costumes. With this simple DIY rocket ensemble, they won’t even know they’ve got a costume on.